This Accident Investigation Report refers to a fire which broke out in a vent stack on Valhall PCP on Wednesday 13 July 2011. It was detected at about 16.37. 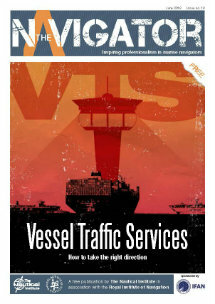 At that time, a vessel had arrived and crane operations were under way on the south-eastern side of the facility. Staffing on the Valhall field centre totalled 626 people at the time. The incident begins with a shaft fracture in the cooling pump for engine A in the crane engine room. As a result, engine A loses cooling fluid circulation. The engine’s overheating protection – two temperature sensors intended respectively to sound an audible alarm in the crane cabin and to shut down the engine – fail to detect the temperature rise. This causes the engine block and exhaust manifold to overheat. The high exhaust temperature, possibly combined with an increase in exhaust fumes as a result of entrained water vapour, leads to red-hot particles from engine A’s combined spark arrestor and silencer being blown from the exhaust vent. Subsequent technical investigations of the spark arrestor/silencer show that it is defective. These red-hot particles are blown by the wind from the exhaust pipe to a vent stack intended to ensure venting of flammable gases to the atmosphere (cold venting) from the compression modules on the PCP facility. The gases ignite. The fire is reported by phone at 16.39 to the central control room (CCR) on PCP. A controlled shutdown of the compressors connected to the vent stack is started by the CCR at 16.42.28, and an emergency shutdown of the compressors is initiated one minute later. The equipment shutdown causes the fire to flare up after an increase in the volume of gases being sent to the vent stack. This is detected at 16.43.32 by a fire detector on the WP facility, which activates a level 2 emergency shutdown (ESD2) on PCP. That means normal power supplies on PCP shut down and its crane comes to a standstill because the rigsaver valve closes, shutting off air supply to engines A and B. At this point, the crane driver has just placed his load on the boat deck and freed the hook. The crane driver opens the door to the engine room to check why the engine has stopped. This room is filled with blue-black smoke, and he sees a naked flame the size of a lighter on the gasket of the diesel injector for engine A. He succeeds in extinguishing this fire with the aid of a glove and reports it to his supervisor. The emergency response and accident site leadership is uncertain throughout whether the vent stack fire could spread to the connected tanks. The flames above the vent stack are thought to be about three metres high, but significantly higher at times during the shutdown process. No automatic sprinkler system covers the area occupied by the vent stack, and it is considered too risky to send in people with hoses to put out the fire manually. None of the vents are equipped with flame arrestors, and there is concern that the flames will blow back into the connected tanks. It is eventually decided that fire fighting (FiFi) monitors on a vessel represent the best way of extinguishing the fire, and this proves successful at 18.14. The actual consequences of the incident were the breakdown of crane engine A and a fire in the vent stack. No people were physically injured. 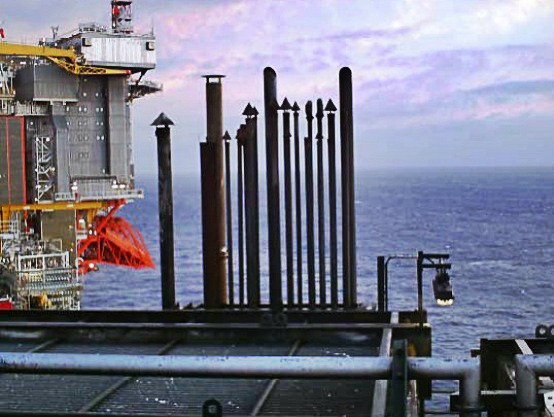 Production on the Valhall field was shut down until 17 September (nine and a half weeks) as a result of the incident. 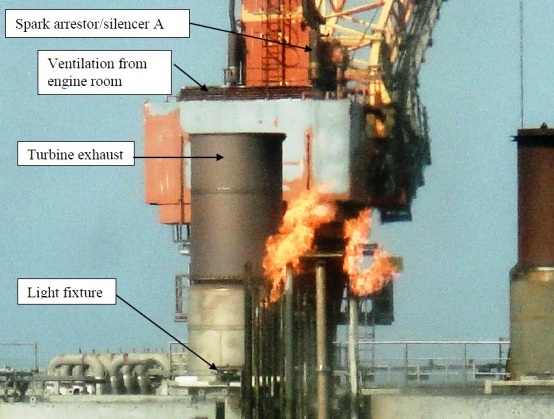 If the crane engine had not been stopped following the detection of flames from the fire in the vent stack, the fire in the crane engine room could have developed into a diesel fire because the piping for the diesel injectors ruptured and sprayed diesel oil onto the exhaust manifold. That would have caused substantially greater fire damage in the engine room and made it more difficult to evacuate the crane. No automatic or remotely operated extinguishing systems cover the area in which the vent stacks stands, and it was considered too risky to send in personnel with hoses to fight the blaze manually. The emergency response plan for Valhall does not require a standby vessel with FiFi monitors to be available. None of the vent stacks are equipped with flame arrestors, and concern arose that the flames would blow back into the connected tanks. By spreading to connected tanks, the fire could have developed into a larger fire. Deficient protection for the crane engines. 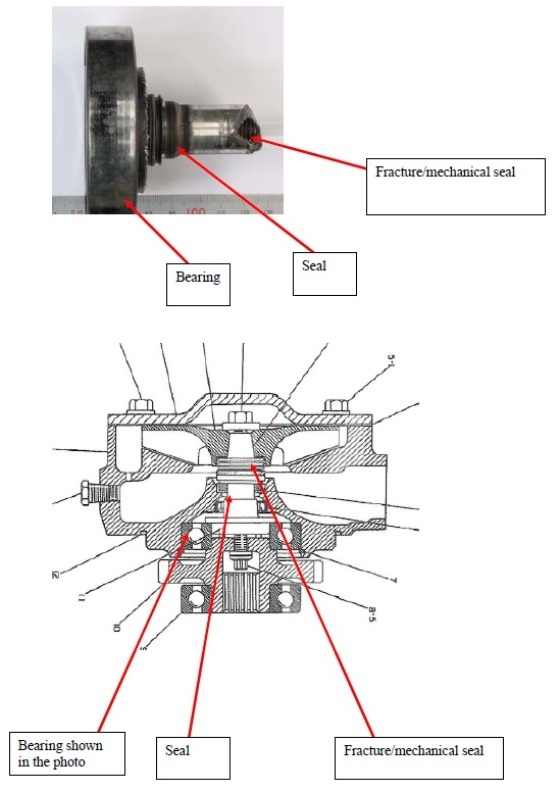 Safety devices related to overheating protection on crane engine A were out of operation. Recommended maintenance had not been carried out. It has not been documented that the lack of engine protection was risk-assessed, and necessary measures and restrictions had not been specified. Deficient classification of and maintenance programme for crane engine’s spark arrestor/silencer. The combined spark arrestor/silencer was not classified as safety-critical equipment, nor had a maintenance programme been established for it. The maintenance programme for crane engines has not been updated with regard to use beyond its expected operating life. The crane engine had been use for about 30 years, and the preventive maintenance programme had not been amended in line with the engine’s age and general condition. The cooling pump was not included in the preventive maintenance programme for the crane engine. As a result, it was not regularly inspected or replaced. Deficient fire and gas detection system. Parts of the fire and gas detection system on PCP did not ensure rapid and reliable detection of incipient fires, fires and gas leaks. A continuous emergency power supply was not provided for the fire and gas detection system on the crane. Deficient management of work processes and follow-up of identified risks. Responsibility and authority for crane maintenance was not unambiguously defined and coordinated. The system for follow-up and risk assessment of notifications and for implementing measures was deficient. Insufficient investigations were carried out of the underlying causes when faults and deficiencies are detected. Deficient information on hazard situations. The positioning of the fire and gas alarm panel, combined with the lack of an audible signal or other measures, did not allow the crane driver to receive the necessary information quickly and to take the necessary action. Measures and restrictions required because of deficient engine protection combined with the lack of an audible alarm or other notification of abnormal values on engine monitoring instruments were not specified. Adequate information was not provided on the functions of the various alarm systems after several modifications. Deficient barrier management and handling of nonconformities. Nonconformities with established internal requirements for barrier elements on Valhall were not corrected nor compensated for. Personnel did not know which barriers were established and their intended functions, and which performance requirements were necessary for the individual barrier to be effective. They did not know which barriers were inoperative or weakened in other ways, nor had the necessary measures been adopted to correct or compensate for missing or weakened barriers. Turbine exhaust led to a hazardous area. The turbine exhaust was led to a hazardous area. According to the Norwegian PSA hot particles or flames from the turbine exhaust cannot be excluded as a potential ignition source for the vent stack, given the short distance involved. The regulations require that exhaust vents must be led to a non-hazardous area, and be designed in such a way that possible sparks from combustion do not become an ignition source. Deficient handling of the hazard and accident situation. 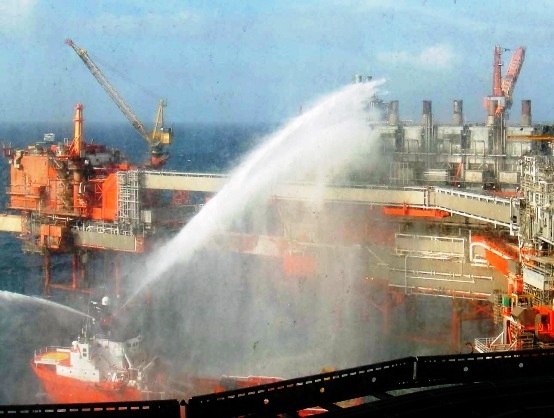 The necessary measures were not adopted as quickly as possible when the hazard and accident situation arose, and the performance requirements specified in the action plan for defined hazard and accident situation, ignited/non-ignited hydrocarbon leak, were not complied with.